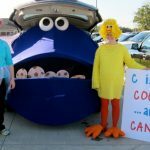 Operation Costume DIY - C.R.A.F.T. Did you know that Operation was invented in by John Spinello in 1964? He was a University of Illinois industrial design student at the time, and sold the rights to the game to Milton Bradley for $500 and the promise of a job upon graduation. 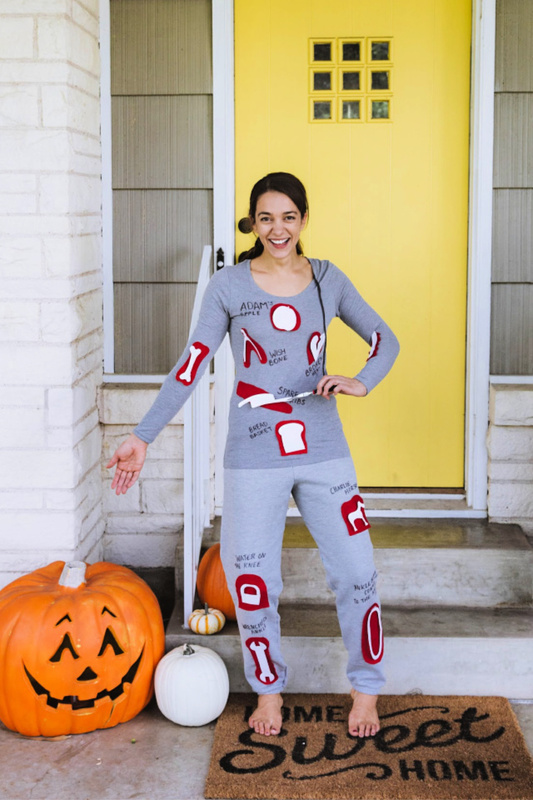 Turn Spinello’s iconic gam board into an adorable handmade costume. 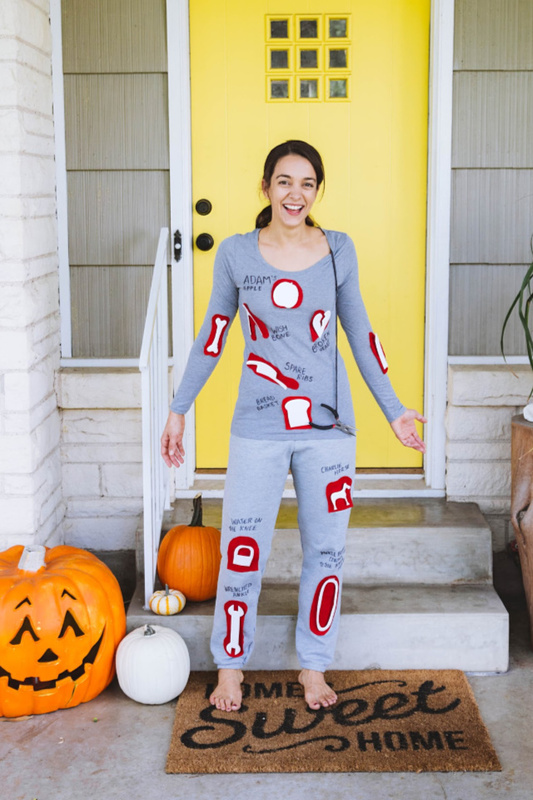 This DIY Operation costume is perfect for the game board lover, doctor, nurse or anyone that loves comfy, easy Halloween costumes. 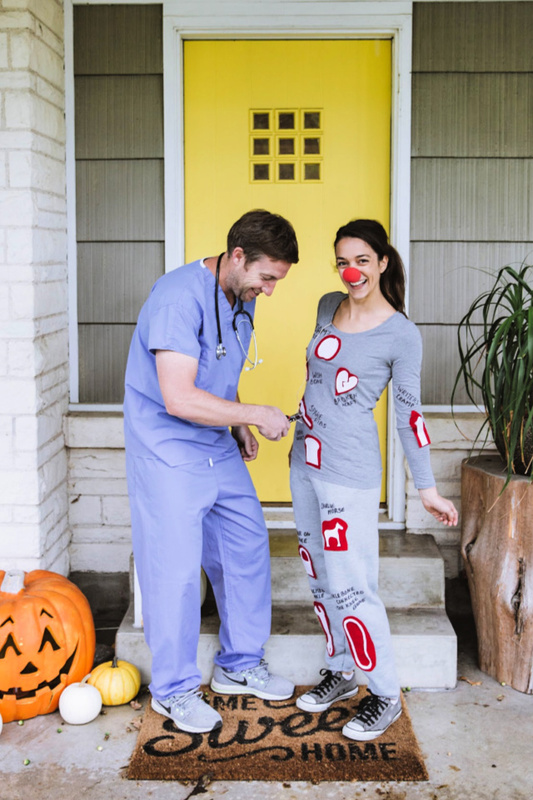 If you’re looking for a couple option, your significant other could be a surgeon! This Operation game costume is adorable, warm, and cozy! I also love that since it is a DIY costume, you can make it as warm as needed for your climate. Here in Texas, I definitely don’t need a sweatshirt in October, so I opted to make mine out of a thin, long sleeve t-shirt. Oh and this post contains affiliate links. There are 11 Operation game pieces to cut out of white felt. I used fabric scissors to cut all 11 shapes out of 1 peice of 12 x 18 sheet of felt. If you’re nervous about cutting he felt, cut the pieces of scrap paper first and use them as a stencil for the felt. Once all 11 shapes are cut out of the felt, cut the red background pieces. 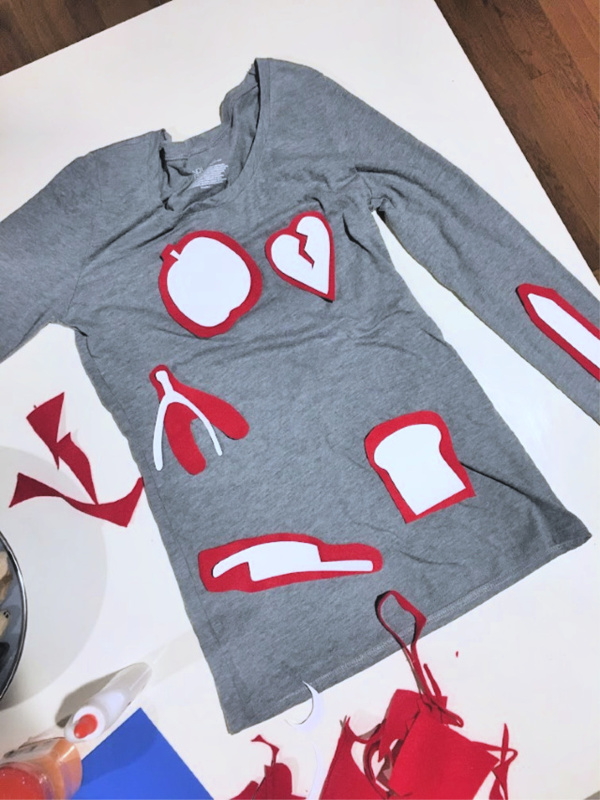 Use the white felt shapes as a stencil and cut the general shape out of red felt. 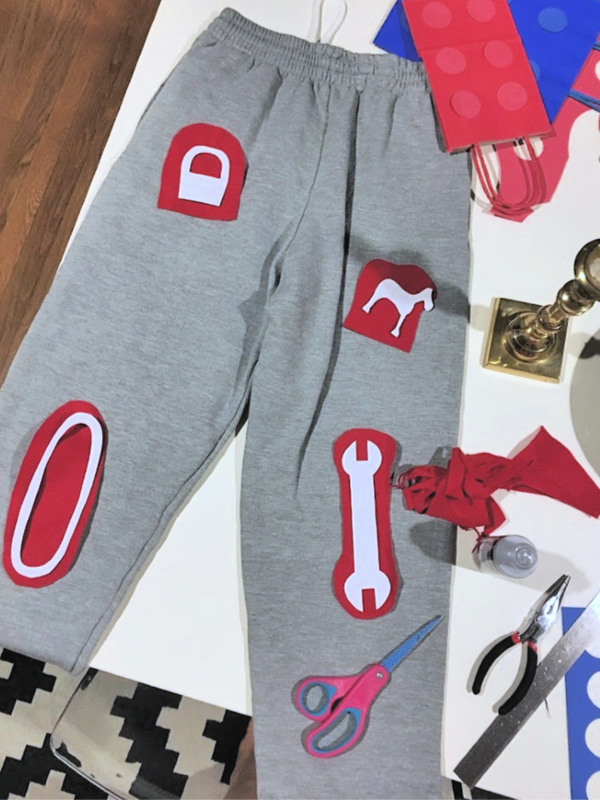 I used fabric glue to secure the red felt shapes to the grey shirt and pants. Allow a few hours for the glue to dry completely. If sewing is not your thing, feel free to use fabric glue for the white game pieces too. I sued a sewing machine to secure the game pieces to the grey t-shirt and sweatpants. This was super easy on all of the pieces except for the 2 on the arms of the t-shirt. The arms of my grey t-shirt are tight and made it tricky to get the sewing machine positioned correctly without sewing the sleeve to itself. Remember, fabric glue works great too! Use a permeant marker to write the name of the game pieces on the t-shirt and pants. I used all capitol letters to make it consistent. My goal was to space out the words so no group of words was too close together and all could be read easily. Once your Operation game board is made, it’t time for the fun part… accessories! A red clown nose is essential as well as a pair of pliers. For the pliers, I literally tied a string to one end of the pliers and then tied the other end to my bra strap. 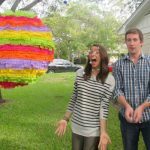 How fun is this DIY Operation costume? Best part? 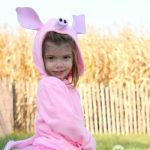 It’s so simple to make and can even be a no sew costume! 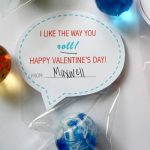 I love the idea of doing a family board game theme too!